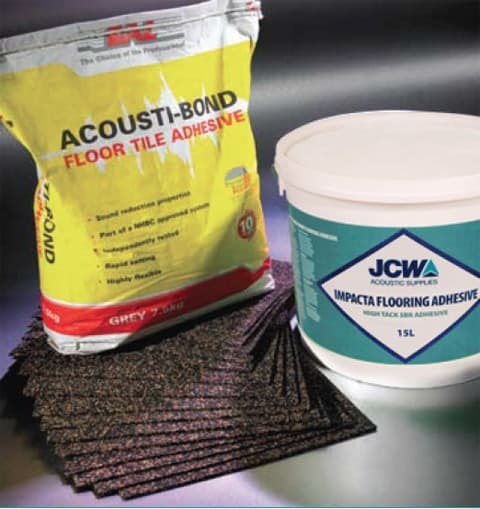 Suitable for new build or refurbishment projects; and for use with underfloor heating. Practical: Any stone or ceramic tiles can be used. Value: Highly cost-effective for use in small rooms. JCW Impacta Tile System has impact sound insulation performance: 19dB. Enables the use of tiles in compliance with Part E of the Building Regulations.